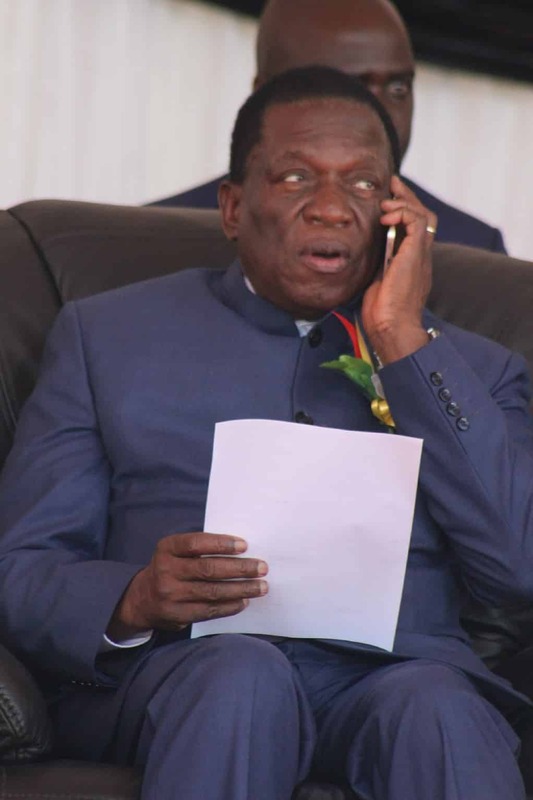 Poll watchdog, the Election Resource Centre (ERC), has raised a red flag and cautioned President Emmerson Mnangagwa to guard against potential abuse of the recently launched Presidential Input Scheme as the July 30 2018 election nears. The Minister of Lands, Agriculture and Rural Resettlement, Retired Air Chief Marshal Perrance Shiri, recently launched the Presidential Input Scheme. ERC, which noted the launch of the Agricultural Input Scheme, a programme widely viewed as a vote-buying stunt, warned that there is need to put in place mechanisms to thwart partisan distribution of the inputs. “…such government programmes when deployed during election campaigns tend to pose a threat in terms of violating provisions of the Electoral Act around issues of bribery under Part XIX (Corrupt Practices) of the Electoral Act. Every effort must therefore be made to limit any practises that may potentially undermine credibility, freeness and fairness in our elections,” read part of the letter addressed to President Mnangagwa. The scheme, which is meant to benefit the disadvantaged farmers, has in the past been hijacked by Zanu PF Members of Parliament and party loyalists purporting to be farmers. The ERC insisted that, if implemented, the mechanisms are crucial as they will determine the credibility of the forthcoming plebiscite. “The ERC calls on the President to ensure mechanisms are put in place to preserve the credibility of the impending election by protecting the integrity of the noble scheme by ensuring that the inputs are not distributed at political event linked to political parties canvassing for support ahead of the 2018 elections, by ensuring that inputs are distributed by public servants and not politicians and by ensuring that nonpartisan platforms are established to guarantee citizens’ access to the inputs without consideration of their political affiliations,” the letter added. President Mnangagwa has consistently reiterated that Zimbabwe will hold free, fair and credible elections. ERC, led by Tawanda Chimhini, maintained that every citizen has a right to Presidential inputs.